This kit turns making a scarf into a fun, calming experience for all skill levels! 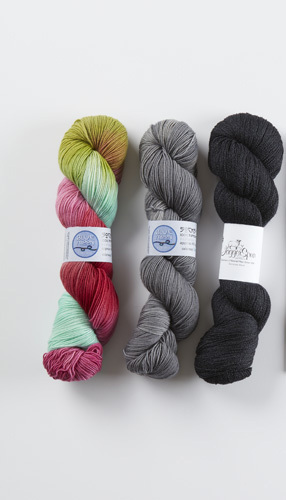 You will use soft, luxurious yarns, including a superwash Merino and wool/silk blend. Weavers also learn how to control color pooling in this project from Easy Weaving with Little Looms. Make your new favorite scarf from luxurious yarns on a rigid-heddle or 2-shaft loom! How would you like to learn about color pooling while using hand-dyed skeins of yarn? In this collection, you can create an incredible scarf as you learn to make color effects with handpainted yarn. 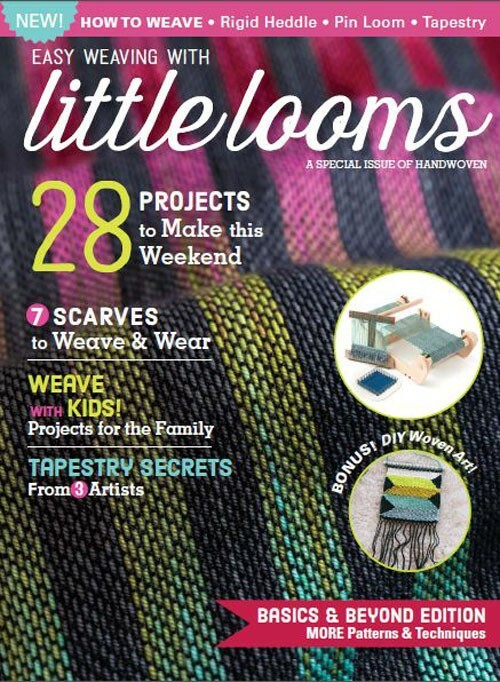 Check out Easy Weaving with Little Looms, a special issue of Handwoven. Treat yourself to 28 fun projects dedicated to rigid-heddle, pin-loom, and free-form tapestry weaving! There's something for every weaver as you navigate through plenty of patterns, techniques, and inspiration. With weaving patterns for gorgeous rigid-heddle projects, ideas for using fun pin-loom squares, and directions for creating your own woven tapestry wall hangings, Easy Weaving with Little Looms has everything you need to get started weaving. Find 28 projects to weave, inspiring profiles with peeks into weavers' studios, tips on choosing yarn equipment, and new techniques to try. Whether you're an expert weaver or a complete beginner starting your first project, this magazine is a truly one-of-a-kind resource that you will enjoy!